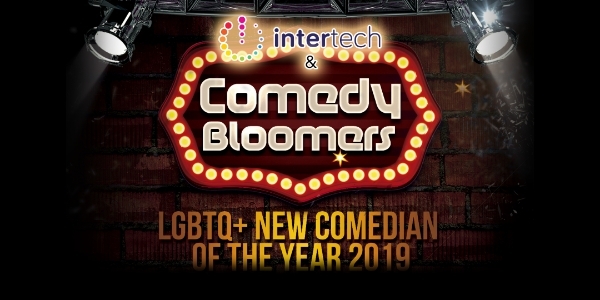 Join us for another fantastic evening with Comedy Bloomers at their upcoming heat for the LGBTQ+ New Comedian of the Year 2019 competition taking place at the Seven Dials Club in Covent Garden. This amazing event is supporting the next generation of LGBTQ+ comedians and provides an exciting platform for their individual voices to be heard. You’ll also be able to vote on your favourite acts along with the judges from the world of comedy. The judges on the evening will be the fabulous Stephen Bailey, Spring Day & David Mills. Sign-up for the event is being handled by the lovely team at Comedy Bloomers - we can't wait to see you there to support new exciting LGBTQ+ talent. 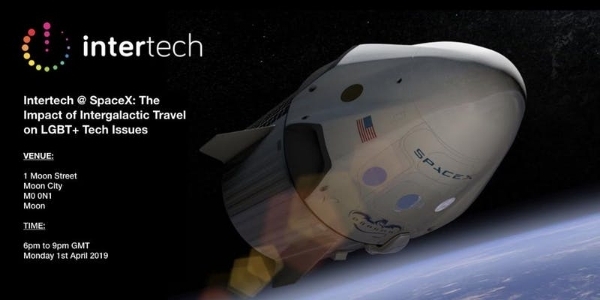 Join us, Intertech and our fantastic hosts SpaceX, for a very special event. In light of recent progress made with intergalactic travel and the latest Marvel films, we'll be considering the topic of intergalactic travel and the impact on LGBT+ tech issues. After this exciting panel, we will be spending 15mins with SETI for a gripping Q&A session to see if there are any questions from outer space. There'll be plenty of opportunity to ask questions after the talks but unfortunately we will not be able to continue the conversation after as pubs have not yet been built on the moon yet. Please note that the venue has notified that the cleaners are coming at 9:30pm GMT so we need to vacate the venue promptly. We look forward to welcoming you and celebrating April Fools Day 2019 together. Intertech & Lesbians Who Tech @ Google - Not Your Problem? The importance of Allyship. 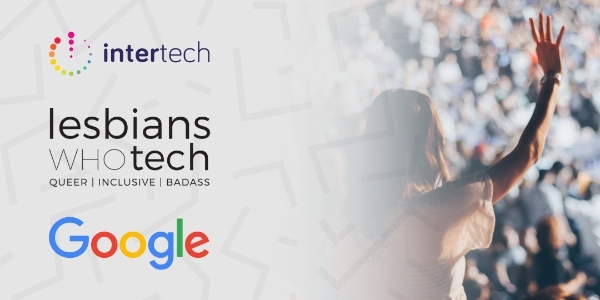 Join us, Intertech, Lesbians Who Tech and our fantastic hosts Google, for a very special event to celebrate International Women's Day 2019. We'll be considering the topic of allies, the need for allyship and the importance of intersectional collaboration. There'll be plenty of opportunity to ask questions and continue the conversation afterwards over drinks. We're also really excited to be joined by Google's LGBT+ network, Trans@ Google, Woman@ Google and Black Googler Network for this impressive event. We look forward to welcoming you and celebrating International Women's Day 2019 together. 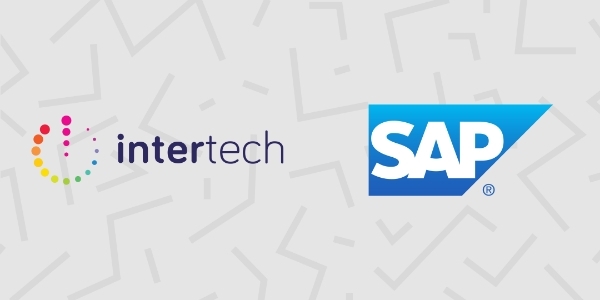 Join us at SAP for an Intertech Panel looking at the connection between Purpose, Innovation and Inclusion. Our impressive panel of speakers will explore the role that Diversity and Inclusion plays in leading innovation within the technology sector through Policy, Leadership, Applications and Products themselves. We look forward to seeing you on the night and encourage you to sign-up today for what promises to be a very insightful evening. Tickets will be available to sign-up from 10am on Tuesday 19th February. We're excited to be taking part in National Student Pride once again this year alongside some other fantastic organisations, sponsors and friends from the LGBT+ community. Across three days, over 1700 students from 170 global universities attend in person and thousands join the digitally streamed panels and sessions over a weekend of discussion aimed at empowering young LGBT+ people feel comfortable in their identity. 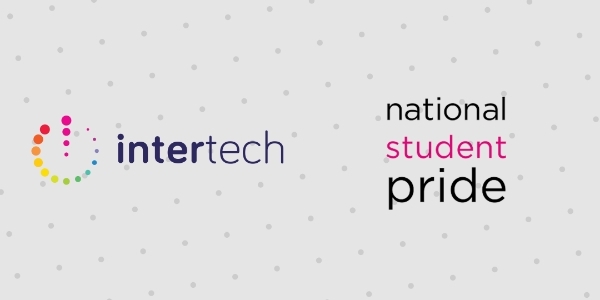 We'll be at the National Student PRIDE.CAREERS Job Fair at Westminster University on Feb 23rd shouting about our passion and commitment to creating a networked community, linking students, graduates, and LGBT+ friendly employers through Intertech's mission. If your organisation hasn't yet secured it's place then be sure to get in touch with the Festival organisers soon. Think Dry January, Vegan-uary or Janu-hairy are silly human inventions designed to bend us to revolt against social norms within set boundaries which in itself is an ironic way obeying the system. No tickets are required - just turn up if you are free and have fun. The register link below is for the Facebook event don't worry! The venue, Friendly Society is notorious for having poor phone signal so if you want to join later in the evening; just pop a message on the Facebook event wall as we'll periodically coming back above ground to check... we look forward to seeing you all! At the beginning of the year Chris, Rob and I had objectives to build on the momentum that had been created in 2017 to make 2018 even bigger and better. Looking back on the year, I would like to think that we’re going in the right direction. :) In 2018, we hosted 23 events with 3170 sign ups (yes I counted!). I know it’s no doubt boring for everyone else to read, but it brings me immense pride and satisfaction to know that this year, Intertech has organised events with some AMAZING companies, take a deep breath before you read this list out loud: Capco, Starling Bank, MiDrive, Comedy Bloomers, Moving Picture Company (MPC), Nutmeg, Microsoft, Deliveroo, Government Digital Service (GDS), Google Campus, Facebook, Palantir, Pride in London, BBC, Paddle, QuantumBlack, Mozilla, Cisco Meraki, Propel, London & Partners and Above the Stag Theatre. A special mention to our fabulous Pride in London team this year! Rob started very early in the year to organise Pride 2018 and during 4 months of gruelling weekly meetings, we managed to pull off Intertech’s biggest Pride. With 160 tickets secured, 6 dedicated Pride events and 11 sponsors working with us, the Intertech Pride in London march 2018 was one of the most fun and well organised Pride marches that I had ever been on. 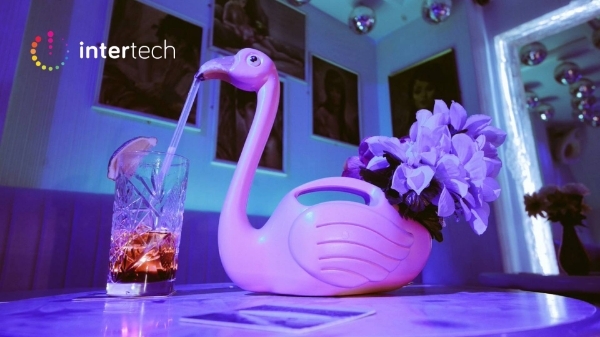 Please introduce Intertech to your non-Gay friends. We can’t at present promise equal representation across the LGBT+ community in our organisation, but we can promise fantastic events, interesting talks, great people and plenty of fun. At the end of the day we want everyone, irrespective of sexual orientation or gender identity to feel like Intertech is a place for them. Please be empowered to get involved. 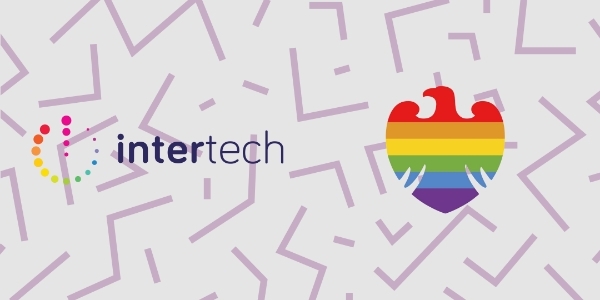 The Intertech committee has grown organically from volunteers who want to make the LGBT+ Tech scene a more fun, inclusive and vibrant community. If you have any great ideas about increasing representation, please don’t hesitate to reach out to us and we’ll do all we can to make it happen! In summary, thank you to everyone who has made this year such an amazing one for Intertech. Thank you to all our event hosts who have generously given up their time and resources putting on the fantastically diverse set of events over the last year. 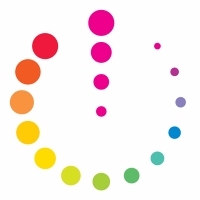 Thank you too, to the many organisations who have invited us to contribute to improving the LGBT+ tech sector across the UK and improving experiences for us all. A massive thank you to the committee members and fellow co-leads (Kevin Street, Nick Goldman, Eralp Bayram, Mike Haynes, David Hanlon, Koen Vandecaveye, Adam Jackson, Chris Howard & Rob Farthing) without whom none of the above would have been achieved. And finally… thank you to you all - our members as without you Intertech wouldn’t be the thriving community that it is today. I’ve rambled on long enough.. 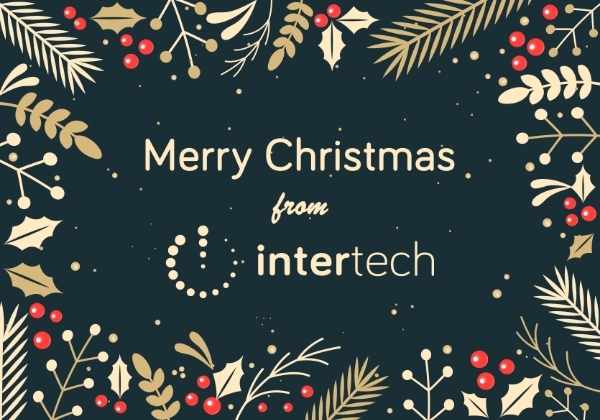 I wish you all a fantastic holiday period and that you return in 2019 merry, refreshed and most importantly, excited for what’s to come for Intertech in 2019! 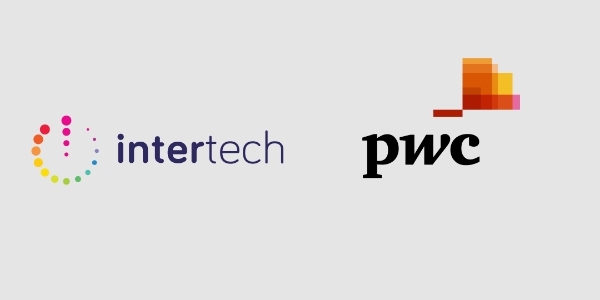 If you would like to get involved with Intertech in 2019, please do not hesitate to reach out to info@intertechlgbt.com or any of the committee mentioned above for further details. We're delighted to have been invited by our friends from Barclays' Spectrum to join them for a screening of ITV's 'Butterfly' series, followed by a short Q&A on the topic of gender dysphoria, finishing with drinks and canapés. The Transgender Day of Remembrance (TDoR), which occurs annually on November 20, is a day to remember those who have been murdered as a result of transphobia and to bring attention to the continued violence endured by the transgender community. To mark this event, Barclays Spectrum, the colleague led LGBT network of Barclays, is hosting an evening in support of Mermaids UK, a charity that supports young people with gender dysphoria and their families. Please sign-up on the link below and we look forward to seeing many of our Intertech members there on the evening. By contrast to “data analysis”, “data integration” is typically perceived as mundane and uninteresting. Yet at Palantir, they're deploying data integration technology to tackle some of the world’s most challenging problems - whilst having a lot of fun in the process. 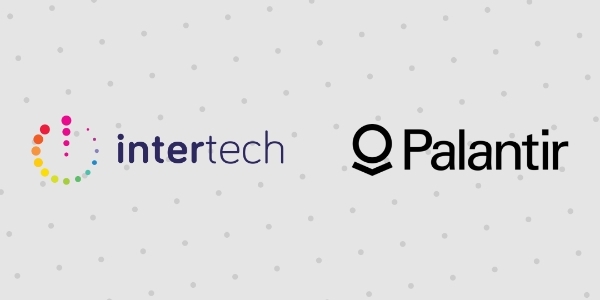 Join Intertech at Palantir to find out how they're doing it through a series of talks and demos, followed by drinks and networking! Sign-up from 10am on Tues 20th Nov.